I know that Western philosophy is 2,500 years old, but there is no reason that our web sites must defer to the more antiquarian aspects of our discipline. Yet, apparently due to inertia, philosophy department web pages have failed to keep up with the times. In the process of updating “A User’s Guide to Philosophy Without Rankings” I have been visiting philosophy department web sites to review the kinds of advice that they provide undergraduates about graduate programs. While I have not made a systematic or a statistical study of sites, I believe that I have seen enough to warrant the conclusion that many departments have not updated their pages to reflect the latest resources available, for example, the new PhilWiki site, with loads of information about graduate programs, or the new analyses of job placement, here, here, and here, which even if preliminary can alert prospective graduate students to unwarranted assumptions about job placement. But perhaps as disturbing as the lack of discussion of new resources are the references to outdated resources, in particular the Philosophical Gourmet Report. This is especially troubling after the events of last fall that led to a degraded PGR, for example, in terms of the loss of evaluators and the number of specializations with few evaluators. Yet we still find statements on department web sites that make no mention of the PGR’s limitations. As a matter of fact, we find rather uncritical statements of support, in one case suggesting that the PGR is more up-to-date than any guidebooks, because things change so quickly. The guide books you find in book stores will probably not be very helpful to you. Things change too quickly for them to remain in date. But you should consult the internet resources linked to the [X] Library web site, particularly the Philosophical Gourmet Report. The rankings are general, and also broken into rankings in each of the main subfields of Philosophy. This page also offers astute observations about graduate study and the availability of jobs. The whole site should be read closely and taken to heart. 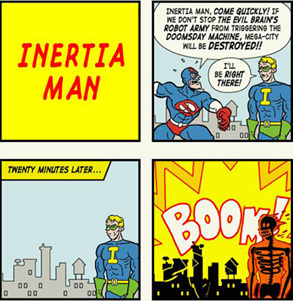 I started this post by referring to inertia. I hope that is all we are dealing with here. Because if departments know about the deterioration of the 2014-2015 PGR, as well as the most recent controversies surrounding it, and are still referring to the PGR as a trustworthy resource, then we not only have an issue of inertia, but one of morality. It is wrong to provide students with information that may be compromised because, well, this is just what we do, support the PGR.